It is hard to believe that Easter is just a few short weeks away, right? Usually, I am throwing together baskets for the kiddos a few days before Easter morning (or sometimes the night before). And decorating Easter eggs? Those haven't happened in this house for the past two years. Yep, mom fail. But not this year, folks. For once, I am ready early for the Easter bunny's visit. Typically you all know that I am not very often the crafty type. But once I had decided to go with a FROZEN theme, the idea just sort of hit me for these Rock Troll Easter Eggs. If you have watched FROZEN already (for some, maybe you have watched it for the 100th time now ;) ), then you know all about the beloved magical trolls that disguise themselves as moss covered rocks. I thought why not make Easter eggs this year that look like the trolls from FROZEN? To make these, I actually used decorating (craft) Easter eggs that I found in the Easter section at my local Walmart for less than $2 for a dozen. I was going to go with real eggs, but I was hard pressed to find gray egg dye. I also wanted these to be a fun decoration that could be on display for a couple of weeks in our home. Not to mention the fact that it would be difficult to crack open and actually eat the hard boiled eggs with everything we used to embellish these. 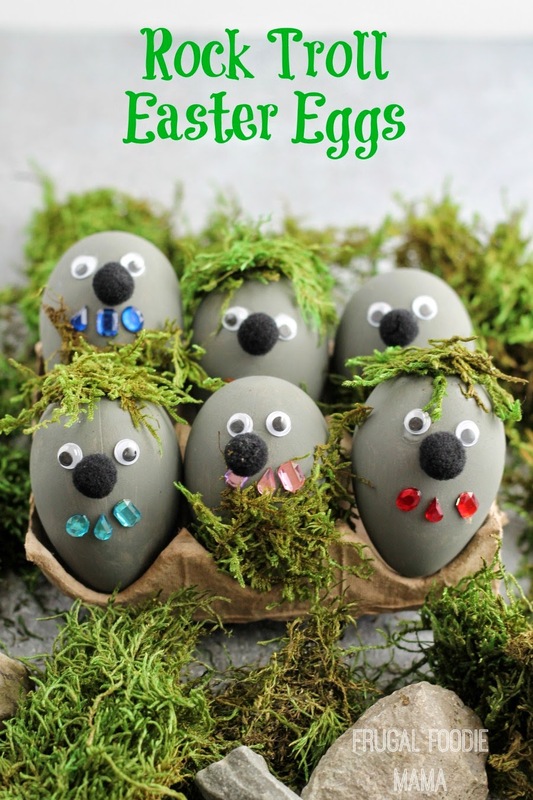 Paint each egg with one coat of the gray acrylic paint. Allow to dry completely- about 45 minutes. Top with a second coat. Allow to dry completely- about 1 hour. 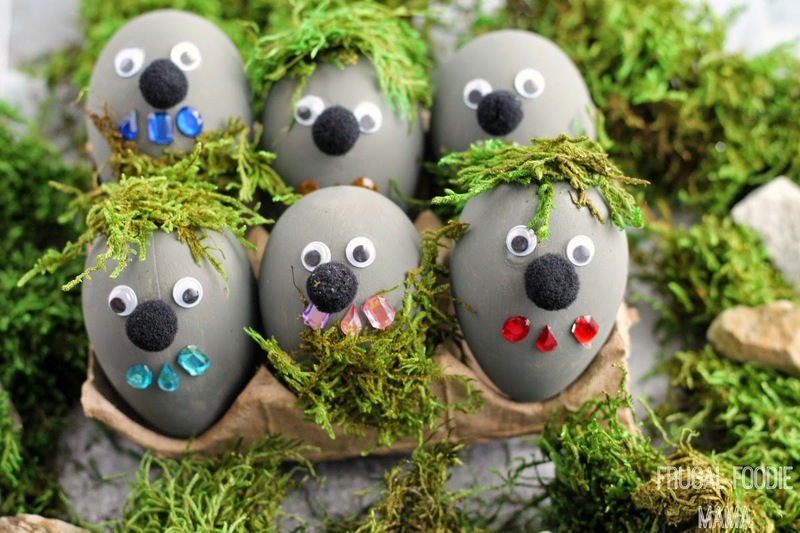 Using the craft glue, attach the moss in small clumps to the eggs. I did half with moss "shirts" and half with moss "hair". Allow to dry slightly. 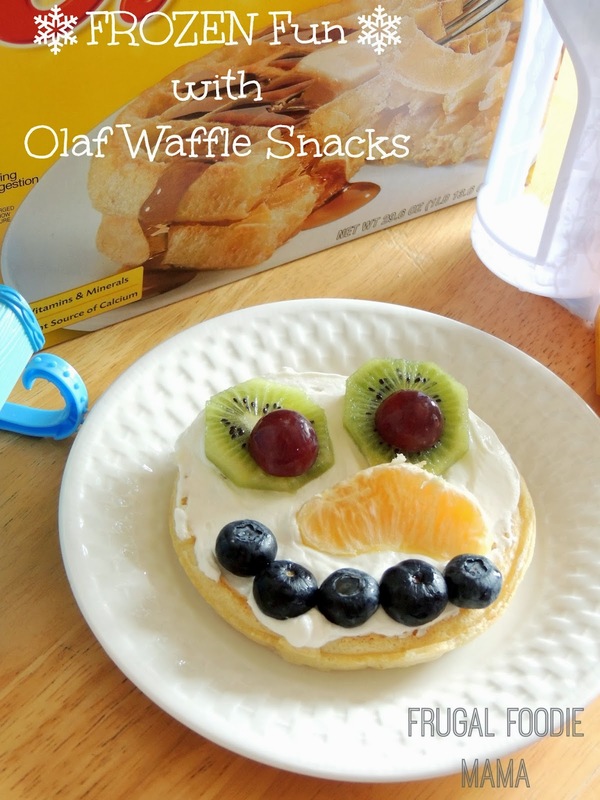 Attach 2 wiggly eyes per egg using the craft glue. Allow to dry for at least 10 minutes. You do not want the eyes to accidentally slide out of place when you attach the adhesive gems. 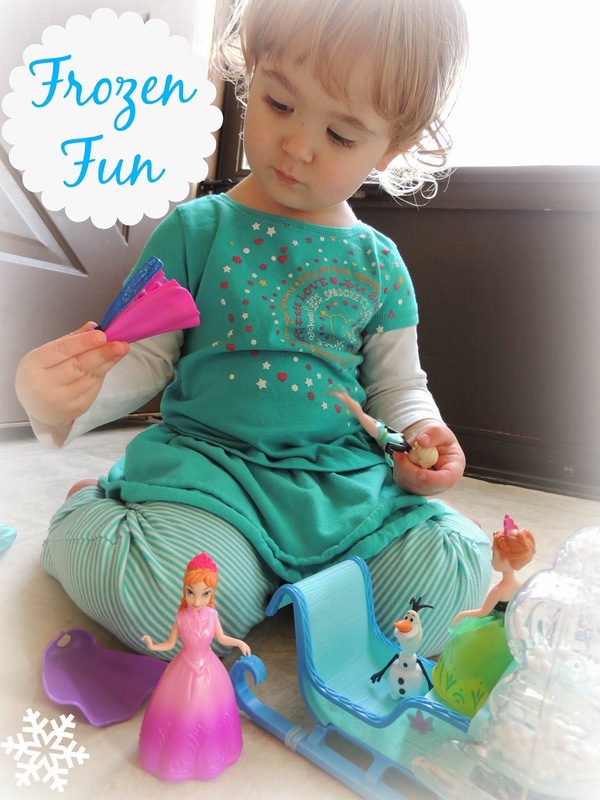 Be sure to use a tiny dot of glue per eye so drying time will be quicker. Use the adhesive gems to form a small necklace of "crystals" on each egg. I used 3 per egg for this. Using the craft glue again, attach the pom pom nose right below and between the two eyes. Allow everything to dry completely- about one hour before moving. 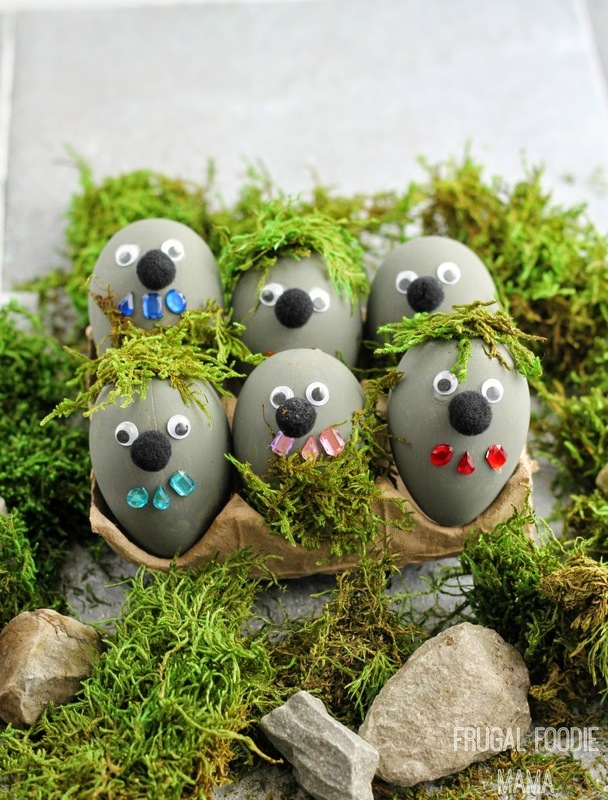 Use leftover moss and rocks to create a fun FROZEN rock troll scene for your Rock Troll Easter Eggs. 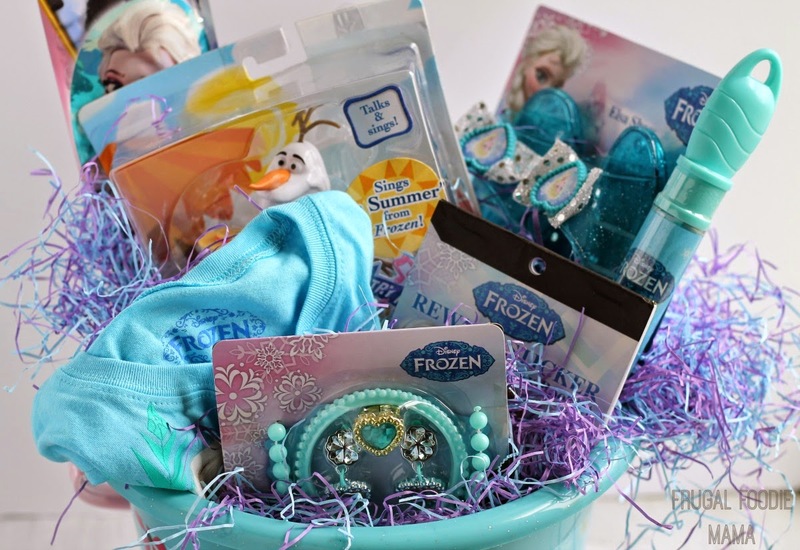 I stuffed her basket full of FROZEN goodies- an Elsa jewelry set, reward stickers (which will come in handy since we are potty training now ;) ), an Olaf figurine that sings "Summer", an Anna & Elsa t-shirt, and even a FROZEN bubble wand! 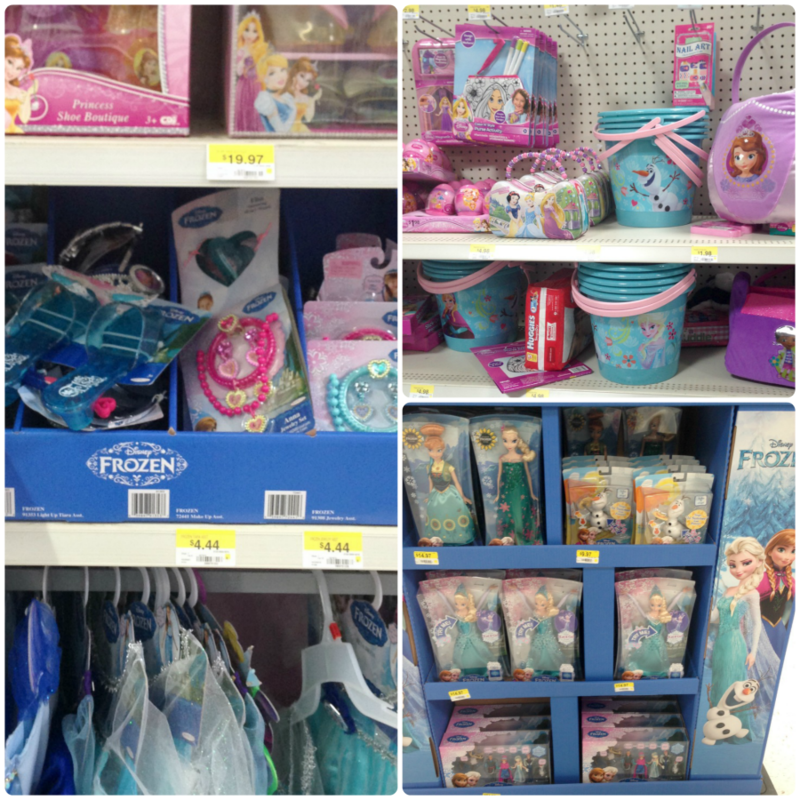 I had to bounce around to a few different sections of my local Walmart to gather everything- from the Easter section to toys to the craft section and then little girl's clothing- but the effort will be well worth it. 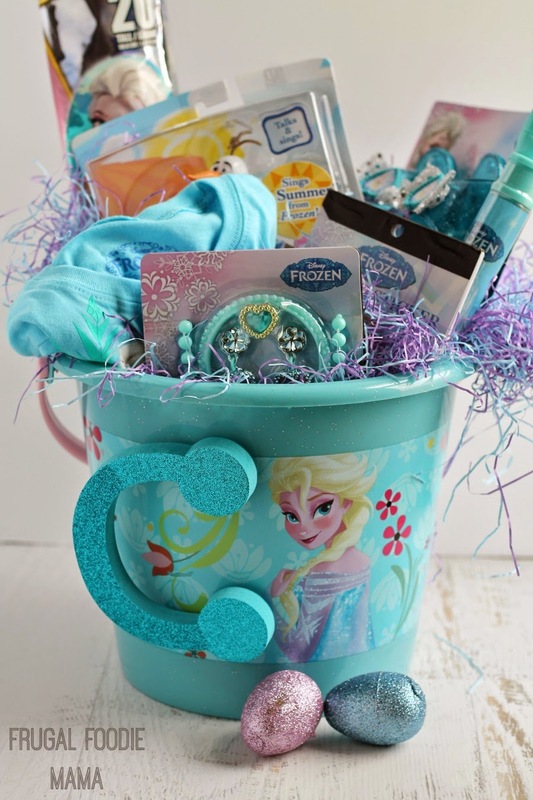 Can you all tell that I am super excited to see little miss's face when she opens her basket this Easter? Little miss and I had a blast making this Rock Troll Easter Eggs! Her little fingers were perfect for helping me glue on the eyes and to stick on the tiny gems. And then we went on a little rock hunt outside so we could properly build our FROZEN trolls tablescape. What are some of your family's favorite fun Easter traditions? Will you go with a theme this year for Easter?